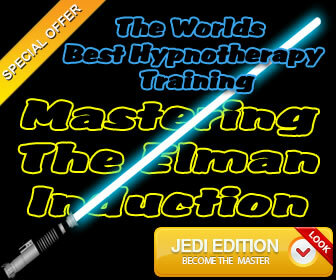 Hypnotism, hypnosis and hypnotherapy have been effectively used for many decades in the medical profession. 1890s – In 1892 a team of doctors were commissioned by the (BMA) British Medical Association to evaluate the effects of hypnotherapy. After the evaluation was completed the committee came back with a report that they were more than satisfied with the genuineness of the hypnotic state. The committee was of the opinion that hypnosis was very effective at alleviating many ailments like problems sleeping (insomnia), overcoming anxiety disorders and pain relief. 1950s – In 1955 a sub-committee of the (BMA) British Medical Association called the “Psychological Medicine Group” was commissioned to do another more comprehensive report about hypnotism and hypnosis. After they had consulted with many of the leading experts in the field of hypnotism and hypnosis for over two years they completed a report which was published by the British Medical Journal which was titled “Medical use of hypnotism”. The report stated that hypnotism should be considered for use in medical practice. The committee also commented on how hypnosis was a very valuable tool because it could be used for psycho-somatic disorders. Hypnosis had proved very useful in the removal of the symptoms of unwanted habits, behaviors and emotions. The committee also concluded that hypnotism was not only effective in the treatment of psychiatric disabilities but also could be useful in the production of analgesia, anesthesia, dental procedures, surgical procedures and pain relief in childbirth. 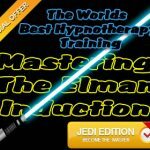 In the same addition of the journal they published that they had discovered an abundance of evidence from the last 100 years that hypnotism works. In 1958 The (AMA) American Medical Association produced a more comprehensive report which not only endorsed the BMA report from 1955 but stated that they had concluded that hypnosis has a recognized place in the medical profession. The AMA recognized the effectiveness of hypnosis because it was very effective when used by professional dentists and medical professionals. 2001 The British Psychological Society commissioned a report by experts in the field of psychology entitled “The Nature of Hypnosis” in which the remit was to produce a statement about the application of hypnosis for clinical purposes, entertainment and training. Skin complaints like eczema hives and psoriasis. There was also evidence to show that hypnosis could significantly help with weight control and smoking cessation. The examined data related to psychosomatic illness, stop smoking, test anxiety and pain relief. They showed that hypnotherapy was very effective in overcoming many different medical problems. Undoubtedly the boundaries of hypnotherapy in modern times will be significantly moved forward thanks to the work of Dave Elman, Ormond McGill, Milton Ericson, Gerald Kein and many other professional hypnotherapists. Who knows what amazing hypnotic techniques will be discovered! It’s my ambition as a clinical hypnotherapist to play my part in what has to be one of the most challenging and best professions in the world. If you are looking to find hypnotherapy in Newcastle upon Tyne to help you quit smoking or lose weight pick up the phone and give me a call.